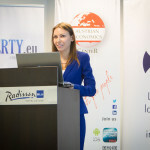 While the European Union is pursuing regulation and centralisation and European economies continue to grapple with the crisis, on May 7, the Lithuanian Free Market Institute (LFMI) hosted an international conference “Austerity without reforms – economies without growth” in Vilnius, Lithuania. 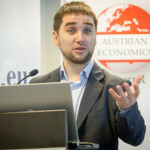 The conference was organised in cooperation with the Austrian Economic Center and the Friedrich Naumann Foundation as a part of the Free Market Road Show 2015. 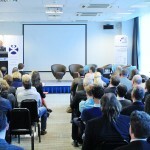 The conference gathered together over 110 participants, including politicians, government officials, members of the Lithuanian and international business community, academics, researchers and policy analysts. 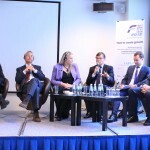 The discussions focused on the following questions: What recipe does Europe need to break the stagnation? Will further centralisation yield better results, or does Europe need to liberalise its economy, cut subsidies, balance budgets and reduce taxes? 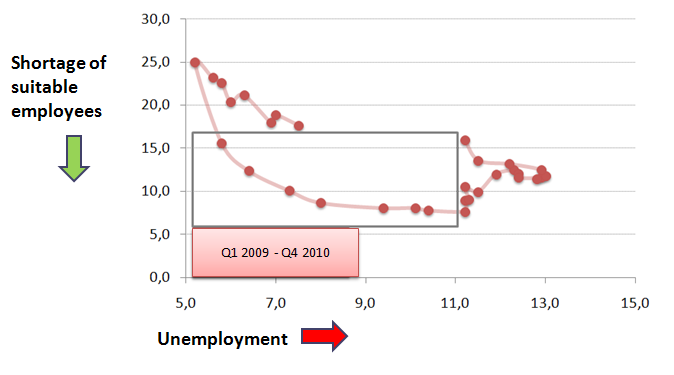 What can we expect from Lithuania’s upcoming labour market reform? 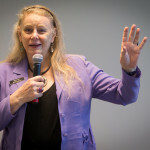 The keynote presentation “How the liberal ideas made the modern world: 1600 – present” was delivered by Deirdre McCloskey, Distinguished Professor of Economics, History, English and Communication at the University of Illinois and Professor of Economic History at Gothenburg University. Prof. McCloskey argued that people frequently blamed the wealthy when it came to economic inequality, but many forget to think of what made us richer. According to the Professor, we should think of what could make us prosperous rather than focus on the number of yachts and diamond bracelets of the wealthy. Prof. McCloskey concluded that it was an increase in economic productivity that made the poor richer and a saying that “the rich only get richer while the poor stay poor” was a myth because the more prosperous the society, the richer the poor. The first panel of the conference “What recipe does Europe need to break the stagnation?” addressed possible ways of breaking the current stagnation in the European economy. In 2013, the real GDP growth of 28 EU countries was a mere 0.1 per cent and appalling future forecasts show that most of Europe’s economies have not fully recovered after the 2008 financial crisis. In the face of the crisis Lithuania was considered to be a model of needed austerity policies, but structural reforms and related expenditure cuts were not part of the plan. 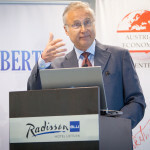 In his presentation, Professor of Economics at the University of Turin and Director of Research at the Institute for Research in Economic and Fiscal Issues, Enrico Colombatto, spoke of the crucial importance of a proper vision, ideologies and policies to get away from the low growth shackles. He emphasized that Europe had to revise these three pillars in order to reverse the current economic decline. The professor emphasized the libertarian view which implies equal access rather than equal opportunities and outcome. He noted that the latter was a key flaw of the European public policy. As the professor noted, the secret to Europe’s prosperity is growth and prosperity comes from entrepreneurship, business and innovation. 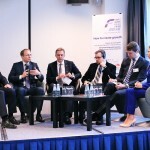 The speech was followed by a panel discussion with LFMI’s President Žilvinas Šilėnas, Director of Economics and Finance Department of the Lithuanian Confederation of Industrialists, Sigitas Besagirskas, Vice-minister of Finance of the Republic of Lithuania, Algimantas Rimkūnas, Director of the Institute of Political Sciences and International Relations of Vilnius University, Dr Ramūnas Vilpišauskas and, LFMI’s Vice-president Vytautas Žukauskas. The discussion highlighted the importance of reforms that should come together with austerity and argued in favour of cutting down the size of the state and taxation as well as allowing Europe to learn from its mistakes and letting the Greek economy sink. In a successful economy one must react to and learn from the mistakes every day, the panelists noted. 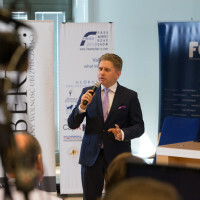 In his speech on the means of improving Lithuania’s economic situation, LFMI President Žilvinas Šilėnas called the attempts to use EU funding to create well-being similar to that of the Western countries ridiculous. “In my view, paving sidewalks or reconstructing town squares so that they look similar to those of the Western countries will not make us more prosperous.” Similarly to Prof. McCloskey, Žilvinas argued that we should concentrate on what makes us rich rather than thinking of the causes of poverty. “Poverty is natural for a human being, while the wealth is the outcome of our creativity and ingenuity,” Šilėnas noted. The second panel of the conference focused on Lithuania’s expectations from the upcoming labour market. 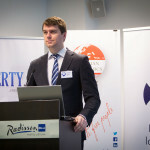 Senior analyst of the Estonian Center for Applied Research and former Deputy Secretary General on Labour Policy of Estonia’s Ministry of Social Affairs Janno Jӓrve presented the Estonian experience of the 2009 labour market reform. 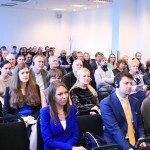 He gave an overview of the stages, content and outcomes of the Estonian labour market reform and stressed the importance of the political will to make correct decisions. The speaker noted that the flexibility of labour relations were of major importance for people to work and earn. 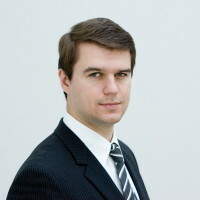 This idea was further developed by Sigitas Gailiūnas, President of the Panevėžys Chamber of Commerce of Industry of Crafts, who actively criticized the current Labour Code and presented the impact of the crisis on his own company and employees. Other members of the panel, including Assoc. Prof. Dr Justinas Usonis of Vilnius University and LFMI President Žilvinas Šilėnas, concluded that the reform was appropriate and necessary, though the new Labour Code could do with more liberalisation. 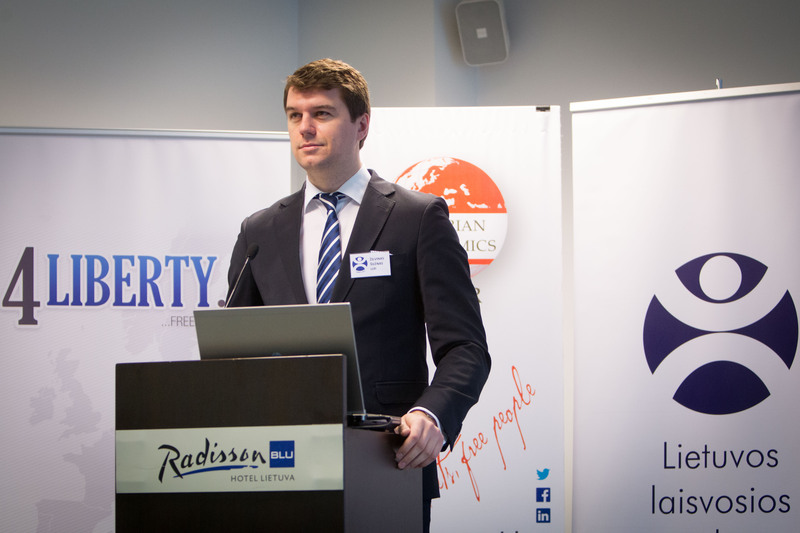 This entry was posted in Think Tank News and tagged conference, Free Market Road Show 2015, LFMI, Lithuania. Bookmark the permalink.